whole: the four images are positioned along the centre right edge. The title is separate and located in the upper third, in white, held within a blue and white arrow-shaped inset, and in red outlined white. 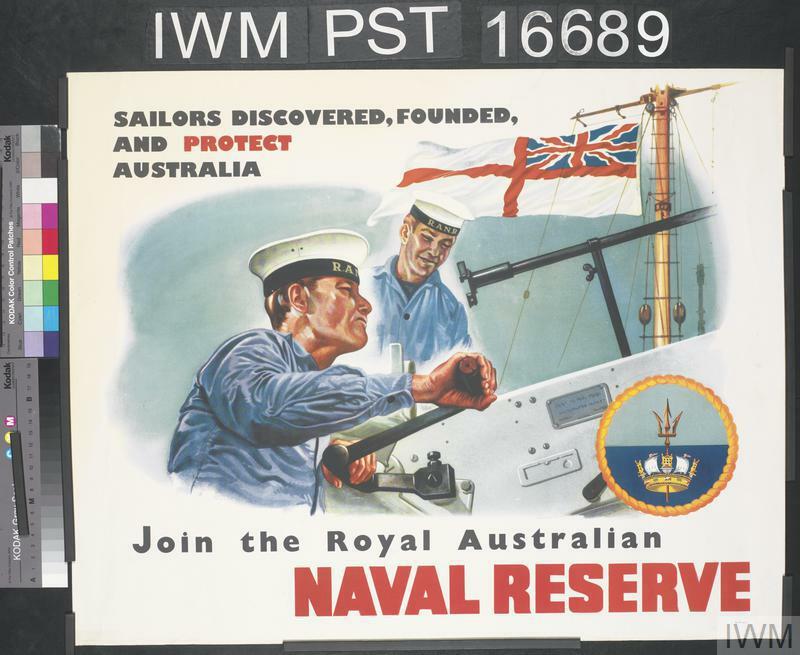 The text is separate and placed in the lower two- thirds, in white and in red. All set against a blue background. 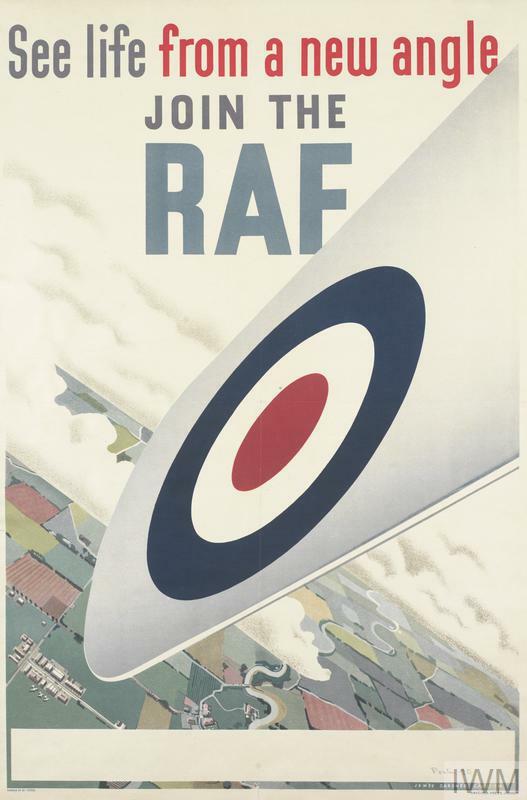 image: four RAF roundels. 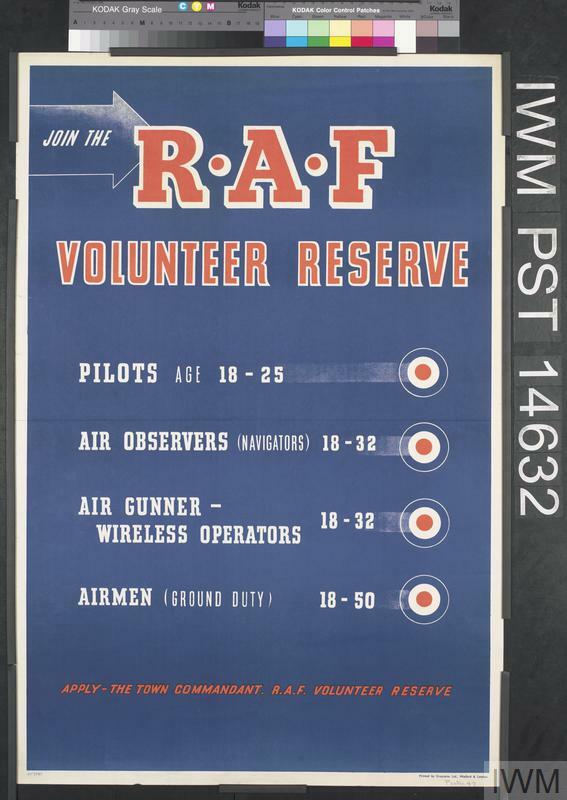 text: JOIN THE R.A.F VOLUNTEER RESERVE PILOTS AGE 18-25 AIR OBSERVERS (NAVIGATORS) 18-32 AIR GUNNER - WIRELESS OPERATORS 18-32 AIRMEN (GROUND DUTY) 18-50 APPLY - THE TOWN COMMANDANT. R.A.F. 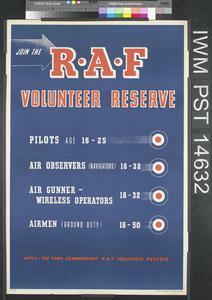 VOLUNTEER RESERVE 51/ 3767 Printed Greycaine Ltd., Watford and London.